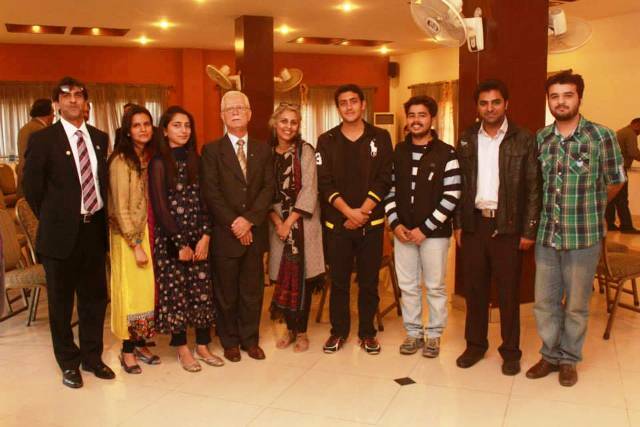 DNA held the 1st Annual Prize Distribution Ceremony of Jeet Ke Parhao – Creative Writing Competition in collaboration with FCC’s Rotaract Club at Forman Christian College on 6 December 2013. Dr Muraad Raas (MPA) and Mr Fazal Habib, and JKP Jury members were present at the occasion along with winning participants and organization officials who participated in the competition. 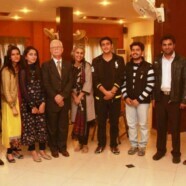 Our honorary guests from Pakistan-U.S. Alumni Network (PUAN) Mr. Asim Hamza and Ms Hira Nafees (Communications Officer) were also present from Islamabad to cover the event. Discovering New Artists paid special thanks to Pakistan-U.S. Alumni Network (PUAN), Khalid Book Depot, City42 News Channel, City42 Newspaper, all the individual donors and supporters, all the competition participants, participating organizations, and last but not the least all the enthusiastic and wonderful volunteers who made this project a success.